So we signed Salah for £35 million, we are after Naby Keita for £70 million and got our fingers rapped for tapping up Virgil Van Dijk in another possible £70 million move. At least Liverpool are going for quality players and not just Markovic and Aquilani type gambles that never worked before. The more I hear about this Naby Keita player at Leipzig, the more I am impressed.A box to box player, sturdy in a tackle, dazzling in attack, good purchase if we can do it, if he costs around £70 million or less, get it done Liverpool. We desperately need this player if we are to challenge for trophies this Season. 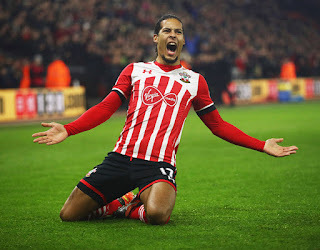 The cat and mouse games over Van Dijk of Southampton continues, Liverpool's absolute apology was issued for tapping up the defender which was reported to the Premier League a couple of weeks ago. But that doesn't mean we can't sign him before the transfer window shuts later this Summer. If we manage to acquire Naby Keita and Virgil van Dijk along with Mo Salah this Summer then it will be some piece of £180 million business by FSG and Jurgen Klopp. Lets hope it happens.